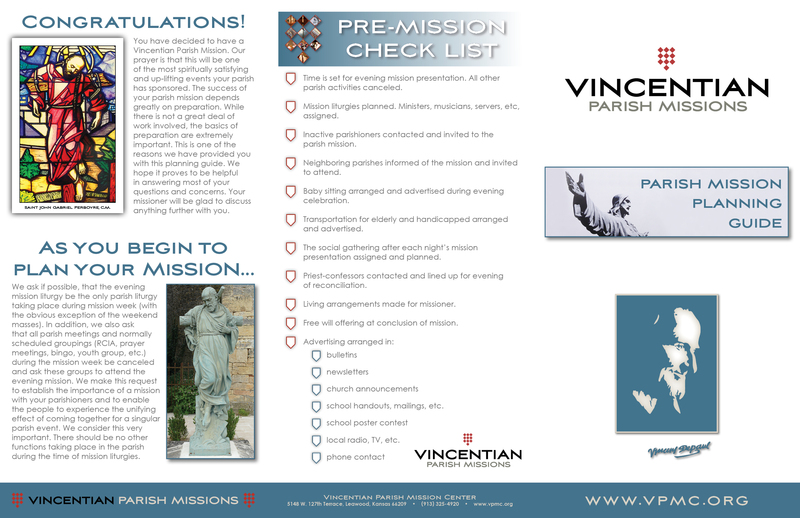 Now that you have selected to have a Vincentian Parish Mission, it is time to talk about how to make your mission a success. Planning is critical and it is best to …. 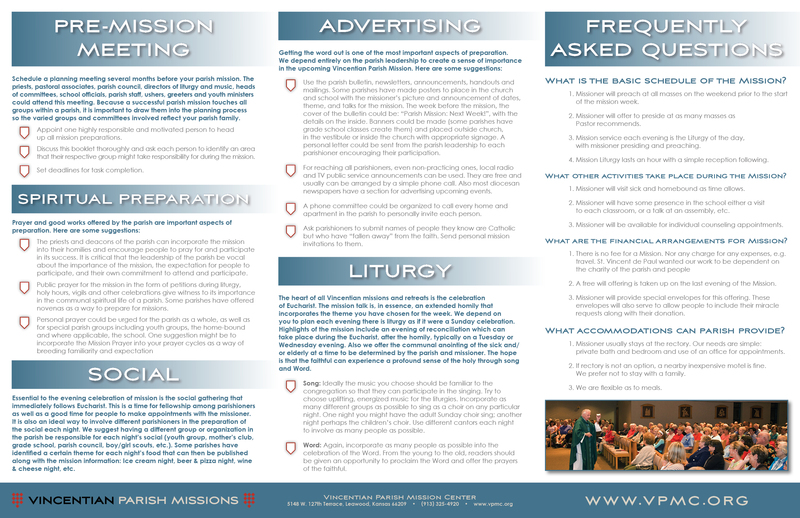 Click on the link below to open a PDF version of the Vincentian Mission Planning Guide. It is best to print the Planning Guide (two pages) in landscape mode and back to back on Ledger paper (11×17) or Legal paper (8 1/2×14).